Probably, you are a social or casual drinker and drug user in Surrey. Or you have discovered that your use of drugs and alcohol is getting out of control. It is also possible that you have a history of alcohol abuse and addiction. No matter your circumstances, Rehab HC is dedicated to helping you achieve recovery. We provide various addiction treatment programs in Surrey that are meant to help addicts achieve life-lasting sobriety. If you are seeking treatment, call us on 0330 113 2627 or email us at help@rehabhc.co.uk. Over the years, we have assisted several people who were suffering from alcoholism, drug addiction, and other harmful behavioral activities. When you call Rehab HC, you will meet our professional assessment team that can help you meet your needs. The information you give us during the assessment will be treated with utmost confidentiality. We will never pass the details onto other parties without your consent. Surrey is known to be more wooded than any other place in the country. The truth is that it has more than offer than just being a ‘commuter county.’ It has proximity to London with great rail connections. The truth is that it provides a good quality of life. It is also home to amazing schools, beautiful countryside, and excellent amenities. With low crime rates, it is evident why most homes are quite popular. However, this may be reversed with the ever-increasing rates of alcoholism and drug addiction. If you or your loved one is suffering from addiction, why not call us now to discuss with our experts on 0330 113 2627 or email us at help@rehabhc.co.uk. If you are suffering from alcohol or drug addiction, you should undertake treatment at our residential facility. This will give you the opportunity to detox without suffering from withdrawal symptoms. We do not recommend a detox program at home. This is because you need to benefit from the much-needed medical supervision and guidance. You should note that withdrawal symptoms can be life-threatening when they are unchecked. This may have fatal consequences. At Rehab HC, we strongly believe you will get the right chance to achieve your recovery goals when you seek residential treatment. This is because you will receive intensive treatment and care. 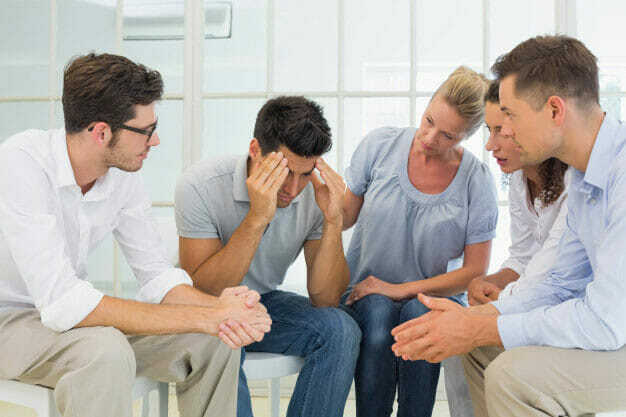 We provide therapy services that are geared to help you overcome emotional impact of alcohol and drug addiction. Moreover, you will benefit from various workshops that are meant to educate you on the science of addiction. The knowledge you get can help you stay alcohol-free and drug-free. After concluding your addiction treatment program, you will get ongoing support from us. This is important to help you combat the urge to continue using alcohol and drugs. Therefore, we will come up with a detailed plan to guide you to recovery. The truth is that without a detailed aftercare plan, relapse is bound to occur. The program involves routine progress monitoring. You will also learn useful coping strategies. At Rehab HC, we provide you with an unmatched network of residential addiction treatment programs in Surrey. We have tailored our treatment options to meet the given needs, preferences, and tastes of our patients. When you call us on 0330 113 2627 or email us at help@rehabhc.co.uk, you will get a detailed overview of the addiction treatment options we provide.